is a designer and architect based in Sydney delivering projects that bridge the gap between physical and digital. His work spans architecture, experimental installations, research expeditions, short stories and a design festival with a focus on new media and emerging technology. Most recently, he was the digital innovation fellow for the State Library of NSW. 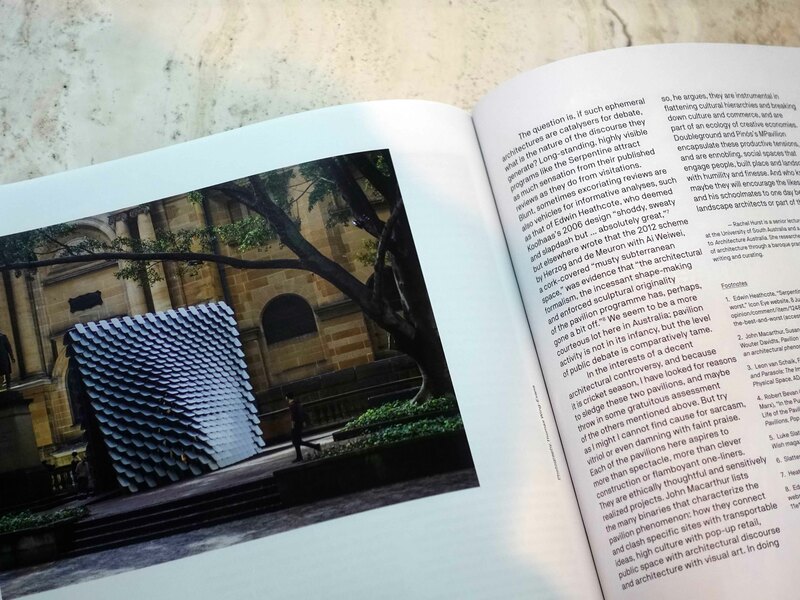 Featured in AA Magazine’s ‘Civic Composition’ issue. Lightning talk at ALIA on creative innovation in the cultural sector. Presenting 80Hz at Cicada Innovations in the Australian Technology Park. 80Hz opens to the public alongside new NSW State Library galleries. 2017 Winner of the NSW State Library DX Lab innovation fellowship for 80Hz. AN INSTRUMENT FOR EXPLORING ART THROUGH SOUND. Exploring the future of technology, culture and urbanism, 80Hz takes historic paintings from the State Library of New South Wales and translates them into music using data. The soundscape is housed within an acoustically resonant metal pavilion - a precisely manufactured wind chime of sorts - which heightens the listening experience. At night, internal lighting reflects through the metal scales, turning the structure into a lantern. A TERRITORY OF DIGITAL WILDLIFE IS DISTURBED BY YOUR PRESENCE. Region 1 is an installation that takes mobile advertising technology and repurposes it to create a playful, interactive habitat combining nature, data and curiosity. A DIGITAL DESIGN FESTIVAL IN A FOREST. Datum is a testbed for new ideas and digital prototypes. Part experimental workshop and part music festival, its teams combine new media, data and design to push the boundaries of architecture, interaction and creativity.